How can I view my roster from the RosterElf smartphone app? 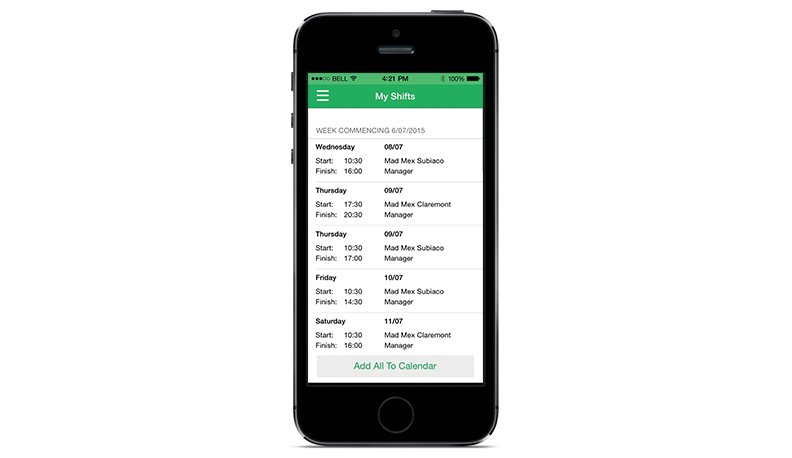 The My Shift section on our app clearly shows all future shifts you are working as per example below. To view shift details, simply click on each shift.